The VIXX sub unit, VIXX LR will hold a concert again. Previously reported VIXX LR will hold a concert in Taipei, Taiwan. On August 17, promoters from Russia 'Spika Concert Agency' announced via their official Facebook VIXX LR will hold a concert in Moscow. The concert will be held on November 14, 2018 at the Glayclub Green Concert. 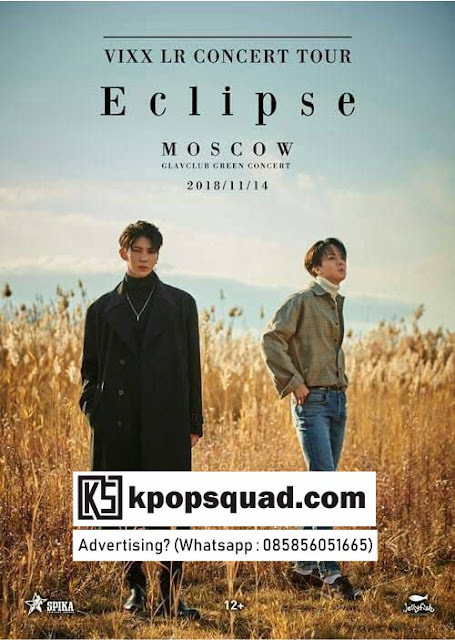 'ECLIPSE' is a VIXX LR concert series previously held in Seoul on November 18 and 19, 2017. They also held similar concerts in Japan precisely in Tokyo on January 25 and Osaka on January 27 & 28 2018.